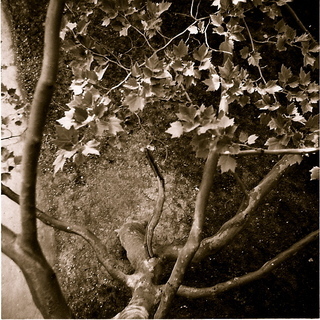 I'm working on a book about trees and how arborists take care of them. I'm also working on a few biographies of people who did amazing things. 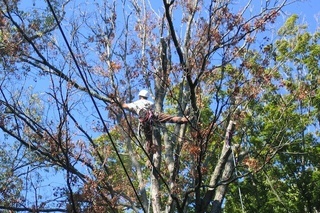 Here's an arborist trimming branches. Trees give us shade, wood, fruit, lumber, and they help fight global warming. Sycamore trees are good for climbing because their bark is smooth. Can a writer learn to draw? MAYBE if I had 100 more years to live, I could. After a l-o-n-g time and a LOT of practice, I learned how to draw a puppy running. It's the only thing I know how to draw. I'm very proud of it.